The first lesson to complete to become familiar with the use, threading, operation and troubleshooting of a three-thread serger before beginning Level Three Projects. Hard copy mail order delivered to your home. This Lesson Module is a big help for those who have sergers. 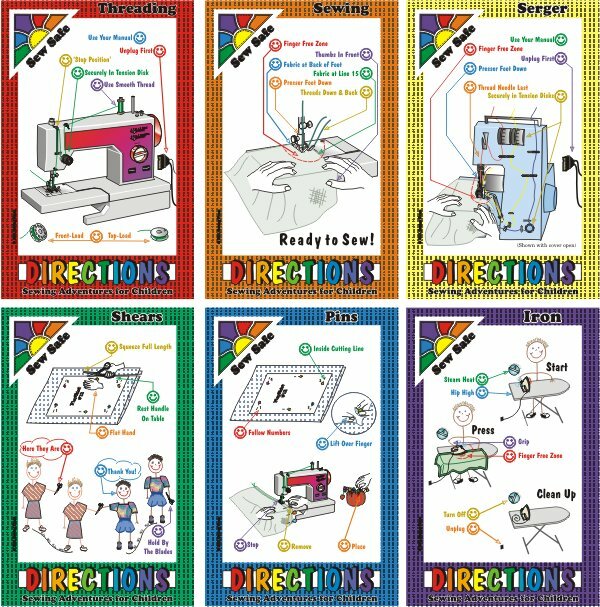 It is completely optional to the entire DIRECTIONS series if you have only a sewing machine. You should be aware that there are SkillCards in this Lesson and they are numbered and referred to in throughout the rest of the DIRECTIONS series. 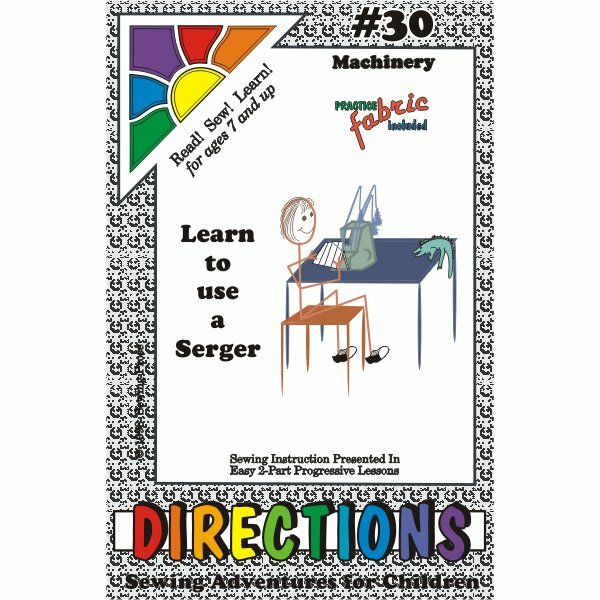 It may look like your SkillCard Reference Organizer is "missing pages" but if you don't have a serger you don't need those pages anyhow. But, you might like them just so you have a complete set. It's up to you. An average student can complete this Sewing Lesson Module in about 2 hours.